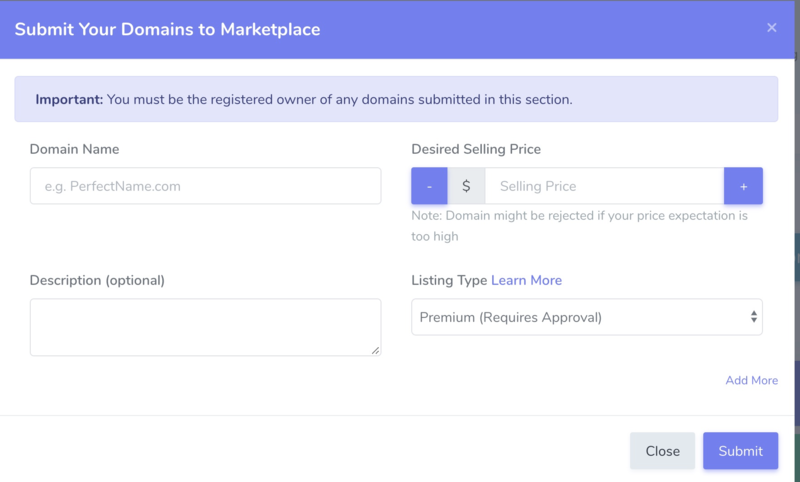 Squadhelp Domain Marketplace allows you to sell your names to prospective buyers. Learn more about Squadhelp Domain Marketplace, watch the video below, or follow the steps in this article. We will review your submission within 24-48 hours. You will be able to track the approval status from your Marketplace Dashboard. 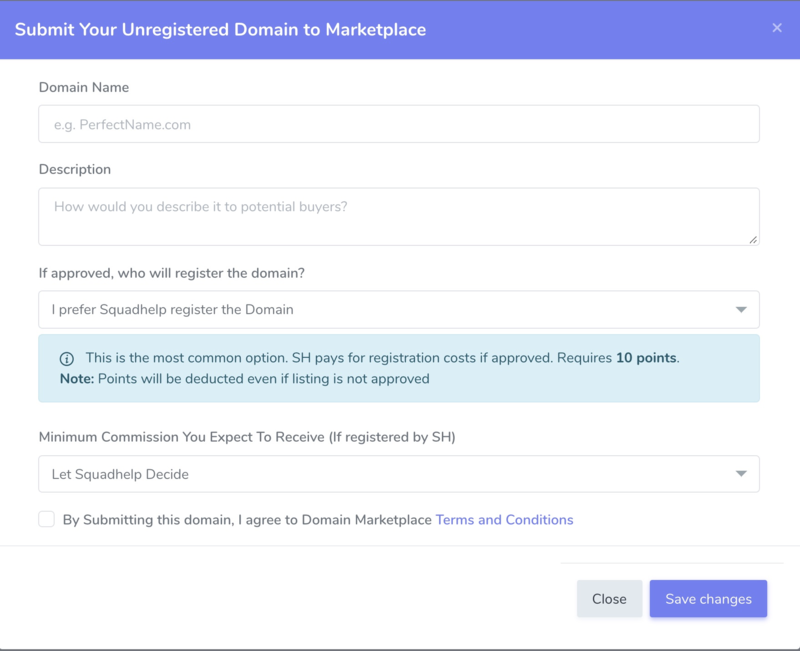 If your name is approved, you will be notified via email and it will be listed for sale in the Squadhelp Domain Marketplace. Login to your Squadhelp Account. You can specify if you prefer Squadhelp to register the domain or if you would register it (after it is approved). Every submission requires Squadhelp Points. 10 points are deducted if you choose the Squadhelp Registration option (or if you are open to letting SH decide who registers). If you choose seller registration option, 50 points are deducted from your account. If your name is approved, Squadhelp will add back 100 points into your account once it goes live. Your name will then be listed for sale in the Squadhelp Domain Marketplace section. Domain Marketplace Terms & Conditions.